You are one of the most prominent female voices in Nigeria; do you think that women are beginning to get the recognition they deserve in the society in terms of occupying political and leadership positions? I think that we are a step ahead from where we used to be. I know that there is still a lot more to be done but I am glad that we have moved from the spot we once were. With continued engagement and empowerment of women, I believe that in the very near future, we would have women occupying very important positions in this country. Some people have said part of the problem is because women are not also coming forward to take up political offices, do you agree with this? I agree to the extent that women are still a bit laid back when it comes to participating in politics in Nigeria. But I believe the number of women we have seen come forward in the build-up to the elections this year shows that a lot is already changing. I think it is important for women across the country to come under a platform and draw out a strategy to address this issue. There is indeed the need for us to begin to take active part in the leadership of this country. So, would you be considering taking up one of such roles soon? We all don’t have to be in politics just because we want women represented at that space. Those cut out for such should come out boldly and other women should support them. As a music artiste, I am like an advocate, speaking to the conscience of diverse groups of persons in the society. I am making impact in the space I currently occupy; I don’t have to go into politics to get my voice heard. You are involved in a lot of humanitarian works in different parts of the country, does this influence the type of music you do? Well, yes. Many of my songs are inspired by the suffering I see all around me, especially when I visit communities where people have been displaced from their homes mostly as a result of violence. As a person with a background in social work, it is easy to connect my music to the ills I see all around me. So, in a great way, my involvement in humanitarian works influences my music. You were born in Ondo but raised in Benin, Edo State, how did this shape your life as a growing girl? Honestly, that part of my life is something I cannot really remember because I was a baby then. I remember that my mother went to visit a sister in Akure, Ondo State while my father was living at Maroko in Lagos. It was while she was there that she gave birth to me. Though I lived part of my life in Maroko, it is growing up in Benin that I remember the most. It was a very memorable period of my life. When I was in Junior Secondary School 3, I once gave a rendition in the school church and this attracted the attention of the late Bishop Benson Idahosa. He was so impressed that he gave me a scholarship which I enjoyed throughout my senior secondary school years. I remain grateful to him even in death. You were already an active singer as an undergraduate at the University of Nigeria Nsukka, how were you able to combine this with your education? Well, I hadn’t started music professionally at the time I gained admission to study at UNN. However, from time to time, I performed at concerts and other events on campus, and this helped me develop my talent the more. What were the hurdles you scaled in trying to become successful as a budding musician? After graduating from the university, I took music a lot more seriously and started getting the chance to work with a few established acts. I shuttled between Onitsha and Benin then and was working tirelessly for my major break. Eventually around 2008, I got signed by a record label. But it was until I moved to Lagos in 2009 that my life and music took an interesting turn. It was when things began to fall into place for me. What was the feeling like when you first mounted a big stage? I was very nervous but excited. It was a show that had the likes of D’banj on parade. I was relatively unknown then, the crowd I saw that day got me nervous. As a matter of fact, I became star-struck upon seeing D’banj. But from that point, we have moved on to mount bigger stages and God has taken control in all the places that we have been to. You pour out so much energy each time you are on stage, are there special things you do before such performances to get that much strength? It is the passion in me that I try to display each time I am on stage. Well, I love to take coffee but not necessarily before I go on stage. I do not drink before going on stage because it affects my flow. I think for me, what I enjoy is the passion I have for the work and anytime I am on stage and I look at the crowd, it pushes me to give my all. We have seen your face in a few movies; do you plan to do that consistently? Well, you will get to see more of me in movies. However, I am careful about the movies I appear in. The storyline has to be one that resonates with my personality. I feel acting gives me the opportunity to experiment with the other sides of me. You have a daughter who is an adult already, are you grooming her to take after you in anyway? No, I am not. I am grooming her to be able to identify and utilise opportunities that can help her become a success of her own in life. We are all born as individuals and we all have our own different destinies, so I cannot tell her what to do. I take my time to sleep, rest, eat and watch television. I go to the spa once in a while. I love my space. Usually, when I want to relax, I have some of my friends whom I hang out with, it could be in their house or we could go to a lounge. Being around trusted friends helps me relax well. You travel a lot due to the nature of your job, where are your favourite holiday destinations? I love to travel and discover new places. I would love to go to Bali in Indonesia, I haven’t been there and I hear it is a beautiful place. I would also like to visit Turkey. I think I want to get to a point where every time that I go to perform in another country, I take two extra days to explore such places and enjoy their culture and food. That is my target. Where do you get your best ideas from? Sometimes, I get my ideas when I am in the toilet. In such a place, great ideas come to me and I quickly reach for my phone to record them as voice notes. Also, some of my ideas come very early in the morning as soon as I wake up and just lay in bed. The day is fresh at that point, so also is my mind. Whenever you are in Nigeria, what special food can you not do without eating in a week? It is seafood okra. It is my favourite soup. I immerse myself in it whenever I have the opportunity to have it in front of me. As a star, do you sometimes come under pressure to live a certain kind of life? Yes, I do and I think this happens to most entertainers. The social media sometimes want to push you into doing certain things but it is your ability to stay disciplined that keeps you on the right track. There were times I wanted to take certain decisions based on what the expectations of people were and the brand I represented but because I was fortunate to have good people around me, I didn’t take those steps. I am lucky I have great people around me that don’t make me feel this pressure. So, has being a star robbed you of anything? Yes, it has robbed me of many things including being comfortable. I am a very simple person who sometimes wants to go out without wearing makeup. I am comfortable wearing flip-flops but because you are a star, sometimes you cannot do so because of the brand you are trying to project. A lot of persons look up to you and want to be like you for many different reasons. They expect that as a celebrity, you should maintain a certain standard and you don’t want to disappoint such persons. To be honest, maintaining that celebrity status requires a lot of sacrifice. 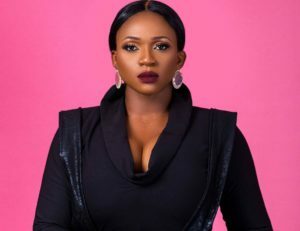 Not so many people know that Waje isn’t your real name, but an acronym. How did you come about that name? 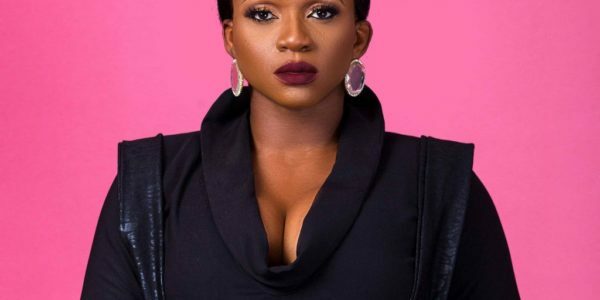 My real name is actually Aituaje, however, the name Waje, which is the acronym of ‘Words Aren’t Just Enough’, was given to me by the former manager of General Pype, while we were in the studio one day. He said I was full of words and never tired of speaking. While he was saying that, I was still speaking and all of a sudden he said words aren’t just enough as far as my case was concerned. That was how the name stuck. I decided to adopt it because it sounded like the short form of my real name. You just established a media outfit with Omawunmi, how do you think this will impact the creative industry in Nigeria? I believe that the establishment of Hermanes Media will greatly change the creative industry space in Nigeria in terms of the quality and support services we would be bringing to the table. We both have a considerable amount of experience working in and navigating the media industry, we felt we should put this knowledge to good use and help other artistes and entertainers achieve their full potential. In spite of your career success, you have yet to get married, do you sometimes get pressured by your family to do so? My family has been good to me in this regard; I do not get any kind of pressure from them. Instead, the pressure I get is from the society itself. The society believes that at the stage I am now, I should be in a certain space and that my music career shouldn’t be the only thing on my mind. They believe that by now I should be married. But what I believe is that there is time and chance for everything. Of course, I want to be in love and get married. Love is a beautiful thing and I look forward to it very much. But the truth is that marriage is not something anyone should rush into for the sake of it. Proper planning and direction from God should be sought. Is it that you have set a certain standard or criteria for the type of man you want and that is why you are still single? To be honest, people think that entertainers get love offers and proposals every day, but that is not the case. Finding a man or woman to love is not difficult but the fact is that you have to find that person that balances your life. Everything depends on what we want as individuals. I believe there is no time frame on when someone should settle down. I believe that God has a plan for everyone.